Try this smart dog collar of nylon with a strong handle to manage Boerboel Mastiff strength and temperament. 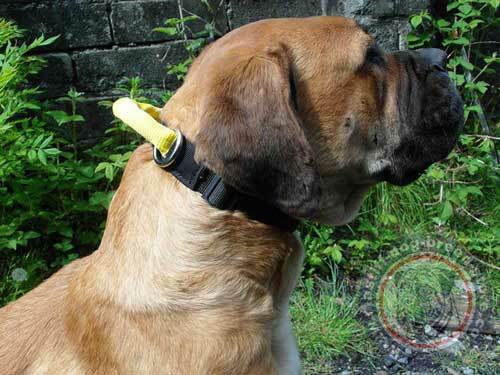 Boerboel collars models are designed to be especially strong for your powerful South African Mastiffs! 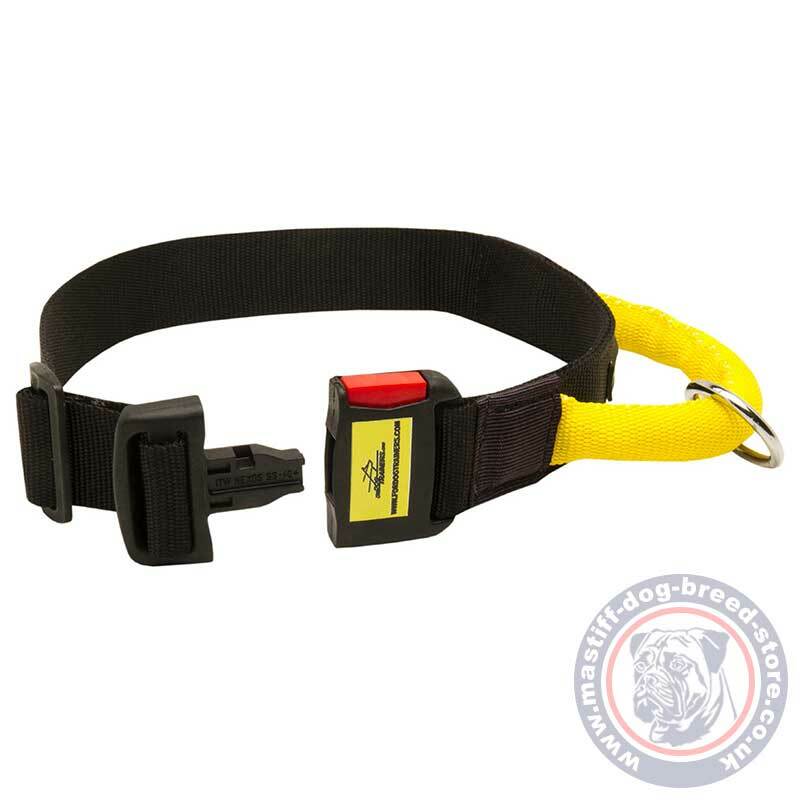 2 ply nylon dog collar is reliably stitched, wide and reliable. Strong round handle is comfortable to hold and very carefully adjusted to the collar. There is a cast round ring at the handle for dog lead adjusting. 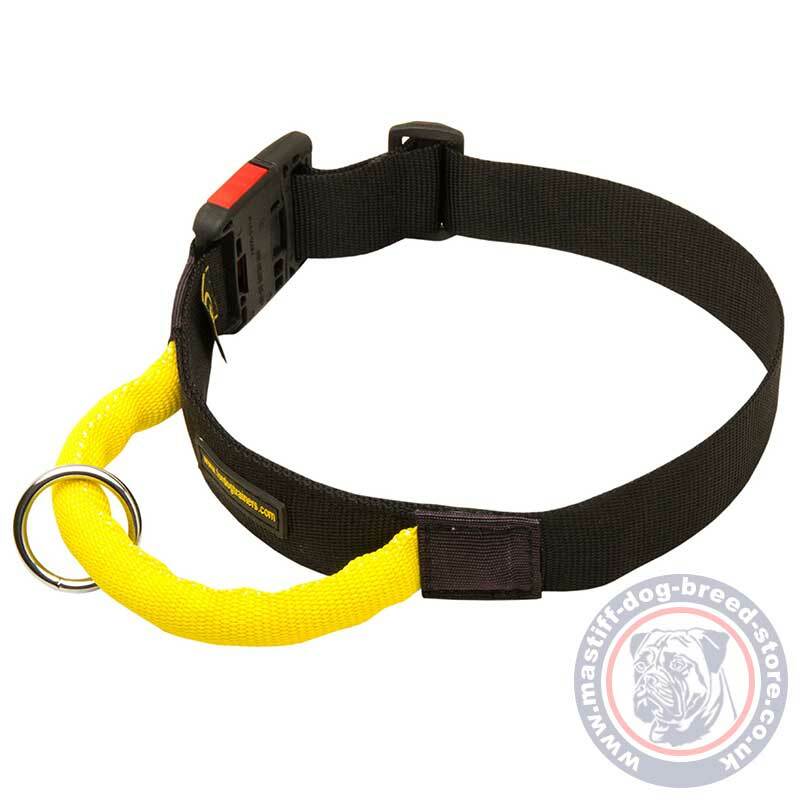 These best selling Boerboel collars are perfect for walking of large mastiff dogs, dog training and service of K9 dogs. Choose Strong, Comfortable Boerboel Collars! Choose this super strong, easy and reliable in use, easy washed and dried large dog collar for Boerboel mastiff and enjoy calm, pleasant dog walking and efficient mastiff training!